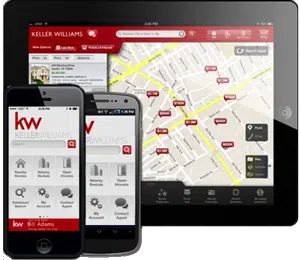 By submitting this form with your telephone number you are consenting for KW Vermont - Keller Williams Realty and authorized representatives to contact you even if your name is on the Federal "Do-not-call List." Welcome to pure joy! This once in a lifetime opportunity to own an incomparable family compound on 1279 feet of lake frontage and 8.65 acres in South Hero, Vermont awaits you. Make your way down the long-wooded lane to a stunning point surrounded by water on three sides. This cherished family compound known as Chippen Point features something for everyone. There are two year-round homes, the original early 20th century cottage built in 1912, a boat house and launch, several garages and a bunk house. Experience sun- filled days, unparalleled Adirondack views, and ever-changing, magnificent sunsets with privacy galore. The phenomenal grounds are an oasis of calm and beauty. The lake and Adirondack views simply take your breath away. This premier waterfront is a rare find and has not been offered for sale in over 90 years. The beach is sandy, the water is shallow and a there's a boat launch on the property with five secure moorings. A water lover's paradise with ample opportunities to fish, paddleboard, boat, wake board or just sit back and enjoy the magnificence of the experience you will discover at Chippen Point. A perfect retreat for nature lovers. Serene and secluded, yet just minutes to all local amenities and a short commute to Burlington. This exquisite compound offers an oasis to enjoy waterfront living at its best. Directions: Take Exit 17 and US 2 West towards Lake Champlain Islands - Go through town and turn left onto Tracy Road after Robinson's Hardware. Bear left at Station Road. Go straight to right turn on West Shore Road to 341 and see Chippen Point sign. Copyright (2017) New England Real Estate Network, Inc. All rights reserved. This information is deemed reliable, but not guaranteed. The data relating to real estate displayed on this site comes in part from the IDX Program of NEREN. The information being provided is for consumers, personal, non-commercial use and may not be used for any purpose other than to identify prospective properties consumers may be interested in purchasing. Whether you are interested in buying a home or property in Vermont, or if you have a home or property in Vermont you wish to sell, Holmes & Eddy at KW Vermont are committed to working with buyer’s needs to find the best investment, and with sellers to get the best price possible! Download the kw mobile app!